HomeGold IRA BlogGoldYuan Achieved IMF World Currency Status! So What You Say? Think Again! Yuan Achieved IMF World Currency Status! So What You Say? Think Again! Like we predicted months ago, the International Monetary Fund (IMF) has formally accepted the Chinese Yuan into the IMF Special Drawing Rights (SDR) basket. The effective implementation of acceptance will occur on October 1, 2016. 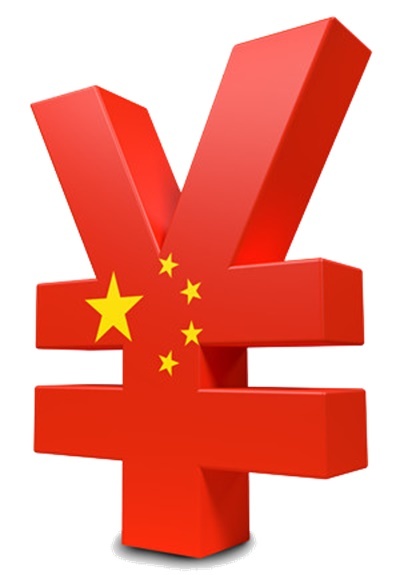 The Chinese yuan will join the dollar, euro, yen and pound as an IMF global reserve currency. This is the first SDR modification since 1999, when the euro replaced the French franc and the German mark. It is the first time in its history that the IMF increased the number of currencies in the foreign exchange basket. And it’s a dramatic milestone for the yuan, in terms of international credibility, particularly in light of the ongoing deceptive reporting that China has become known for. The yuan was created after the conclusion of World War II and was only accepted domestically within the Communist controlled nation. The IMF reviews SDR basket composition every five years and in 2010 the yuan’s bid for acceptance was rejected by the IMF stating that it didn’t meet the necessary criteria. Every forty years, on average, fiat currencies fail and have to be replaced. In 1933, the US dollar failed, retooled and was devalued by 40+%, literally overnight. 38 years later (1971) the dollar failed, retooled and was removed from the gold standard. That was 45 years ago! The stock market is running on empty. The only thing moving it at all has been the steady stream of freshly printed US dollars. QE3 ended near the end of 2015 and the market has been in a downtrend since, but the printing press is still running. In November of 2008, when Obama was elected, the National Debt stood at $10 trillion. When he leaves office in January of next year, the debt will be at or quickly approaching $20 trillion. It will have doubled in less than ten years, yet it took the country 232 years to amass the first $10 trillion. Is there any wonder China is hoarding gold at a frenetic pace, even though their reported numbers barely reflect it? Is it any wonder that when the collapse does occur, that China wants to be in a position to assume a greater world reserve currency status? Is it any wonder that China is dumping US debt, as quickly and quietly as possible, with Japan not far behind? They’ve invested in us heavily, but have no allegiance to the careless stupidity of the US and apparently no desire to continue funding our drunken and terminal spending spree. Viable protection from this coming storm can be found where it’s been found for millennium.